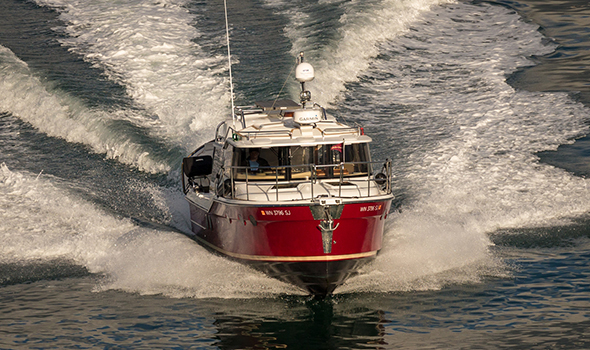 BOW AND STERN THRUSTER. 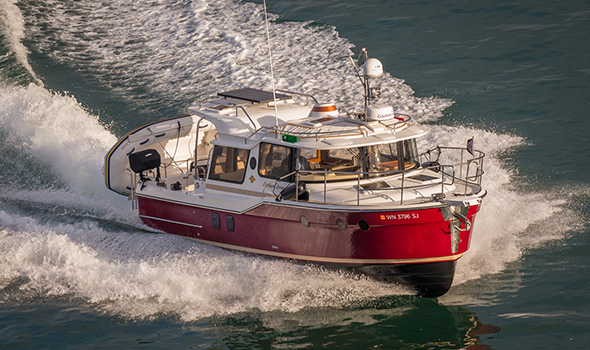 Ranger Tugs are built for Northwest cruising! 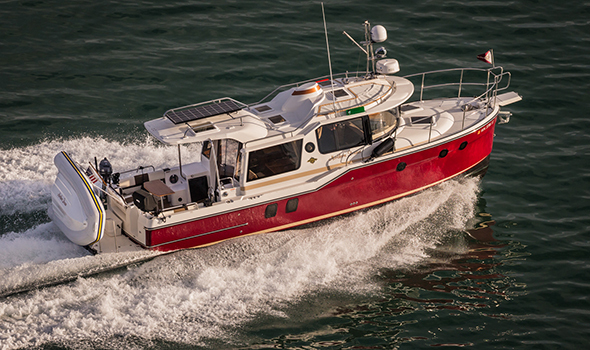 it handles beautifully with bow & stern thrusters, auto pilot, single electronic shifter, impressive visibility and an economical yet fast Volvo Penta engine w/cruising speeds up to 18 kts. 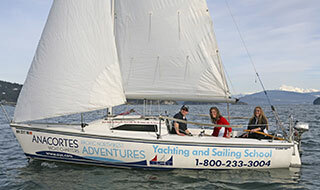 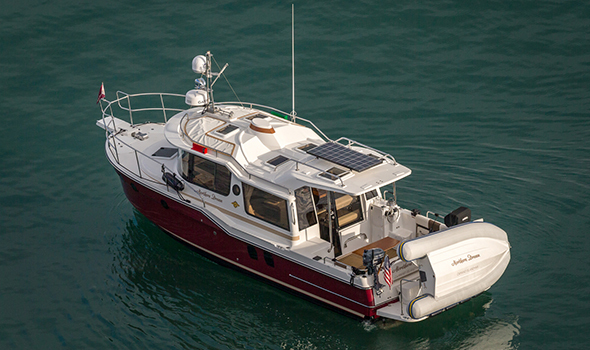 The efficiencies continue with a solar panel to keep batteries charged while on the hook and a 2500 watt inverter. 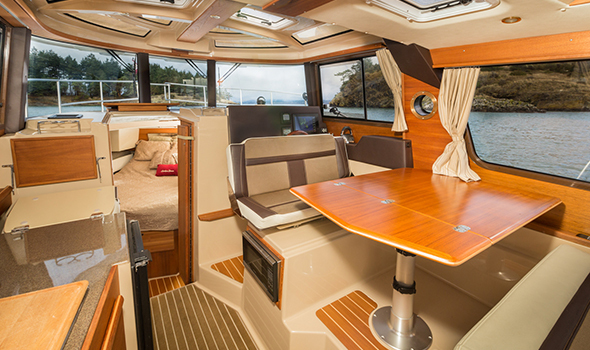 The layout is equally impressive in its design for comfort and entertaining. 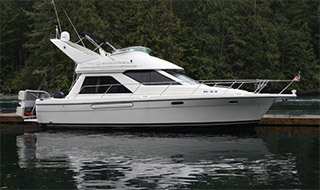 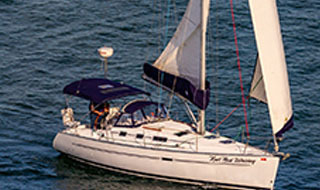 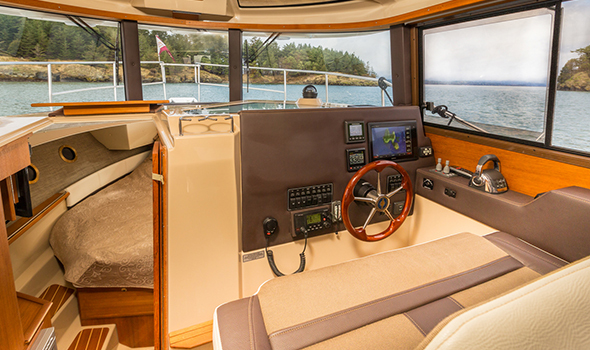 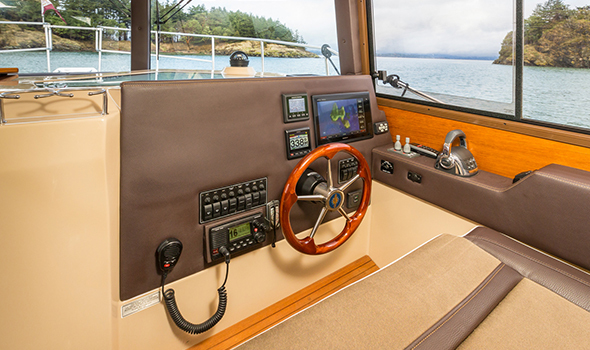 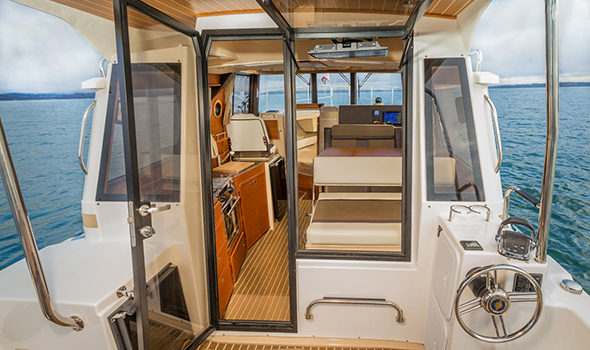 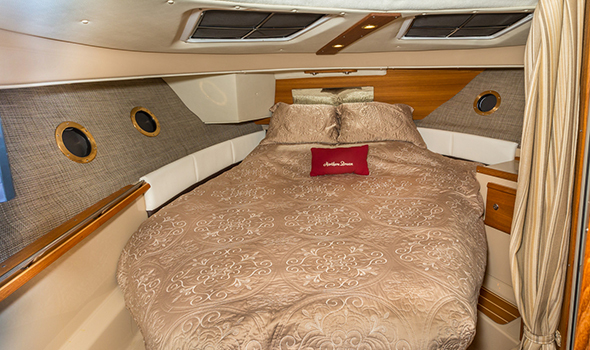 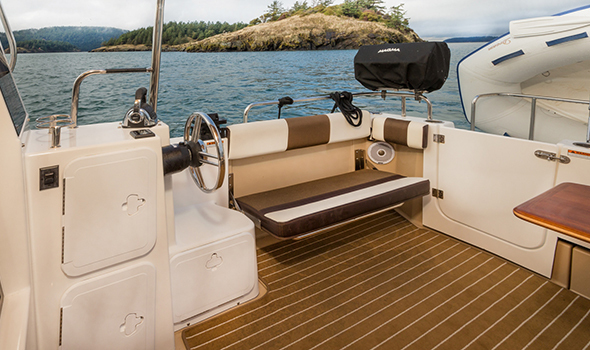 The cockpit offers a rear helm for ease of docking, seating for 7, and includes a beverage fridge for easy access to drinks & ice. 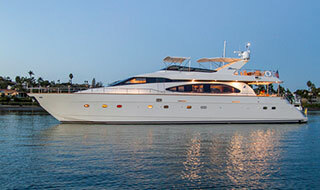 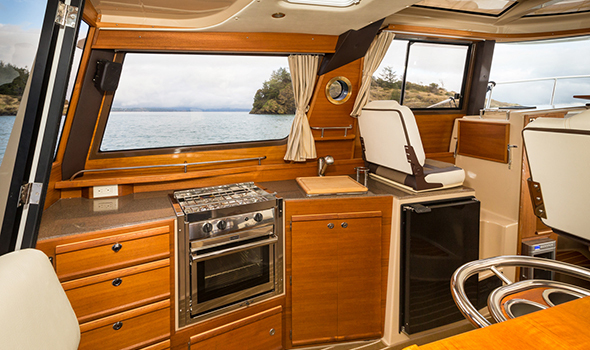 Inside are the main dining table, the galley fridge, a TV and a propane stove/oven. 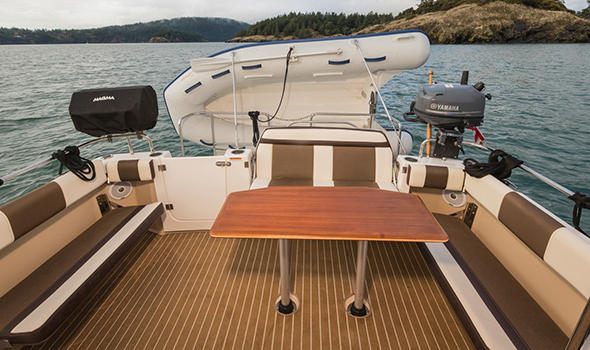 No need to disturb the tranquility of the harbor when it's time for dinner. 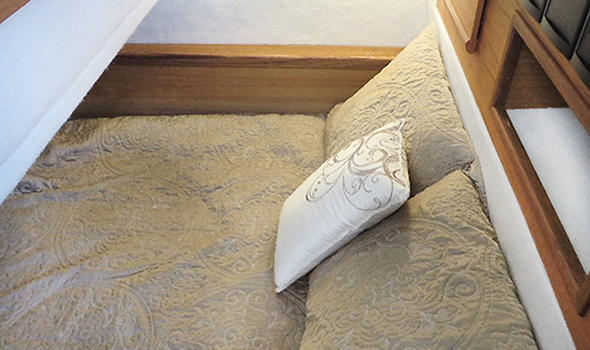 The comforts continue with a walk-around queen berth in the master, an additional TV and a 6-bottle wine cooler in the forward berth area.